At age 11, Rachel became an orphan. She works as a fair trade artist and uses her salary to take care of her younger brother and sister. While other 12-year-old girls were studying for school exams and playing with friends, Rachel was worrying about putting food on the table. She lost both of her parents when she was young. Her father died of a stomach ulcer and her mother died of AIDS. Initially, Rachel and her siblings went to live with her aunt, but having three more mouths to feed proved more than the aunt could handle. 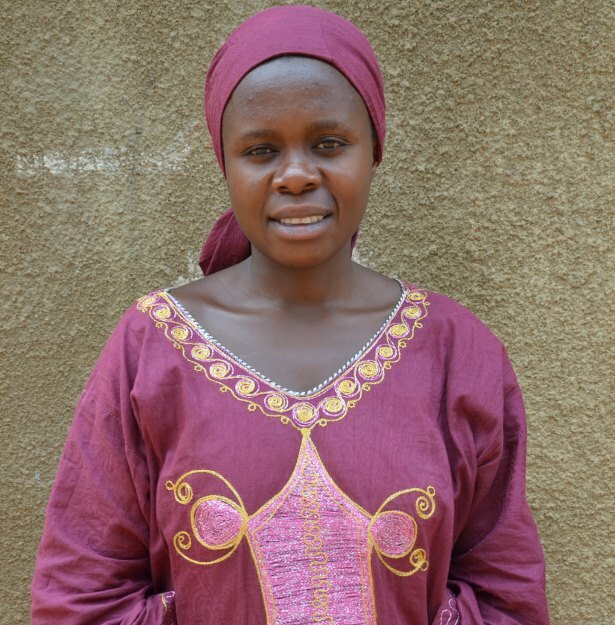 At the age of 11, Rachel became the head of the household and the primary caregiver for her younger brother and sister. “When my brother, sister, and I returned to our parents’ house, it was completely bare. Our mother had sold all our possessions to buy us food while she was sick. I felt scared and alone. I knew I had to find a way to make money to take care of my siblings,” said Rachel. 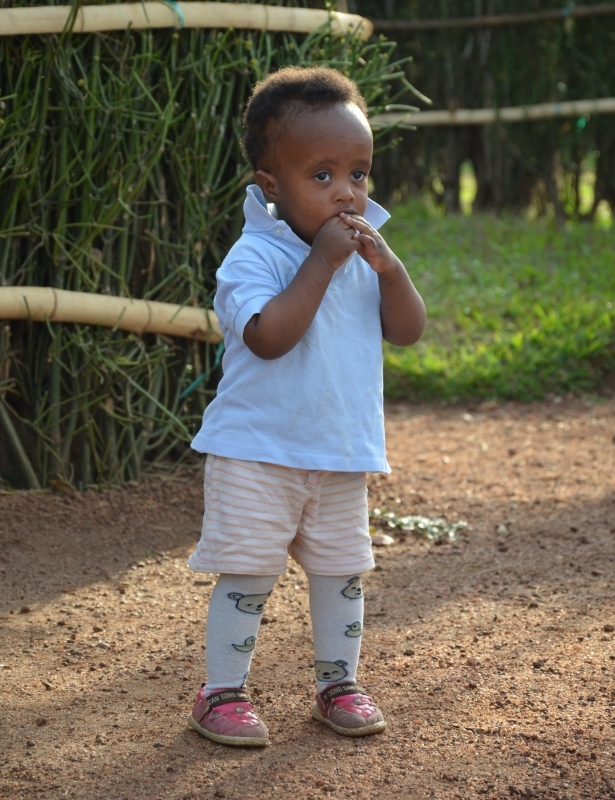 Approximately 610,000 children in Rwanda are orphans, according to UNICEF. In Rwanda, Rachel’s situation is not uncommon. Approximately 610,000 children are orphans, according to UNICEF. Often illness causes orphanage. AIDS alone has caused 170,000 children to lose their parents, says UNAIDS. The 1994 genocide left about 95,000 children orphaned. Without parents to look after them, these children are forced to grow up quickly. After a few years of growing maize and tomatoes and selling them at a local market, Rachel found a steady source of income. In 2006, she began working for Cards from Africa, a fair trade organization that employs Rwandans to produce greeting cards that are sold in Rwanda, the United States, and the United Kingdom. Cards from Africa exclusively employs orphans who are the head of household and therefore responsible for earning the family’s income. Started in 2004 with 3 employees, the organization has now grown to 90 employees working as paper makers and card makers. 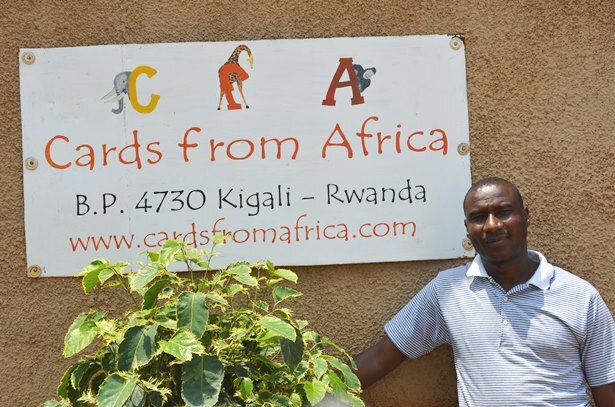 Cards from Africa hires each employee for five years, during which the employee learns marketable skills he or she can use to start a business, said Card from Africa manager, Jean De Dieu Bukuru. To make the cards, Cards from Africa relies on paper donations from local businesses to keep up production. This is where the Africa Indoor Residual Spraying project (AIRS) saw an opportunity for a partnership. At the end of each indoor residual spraying campaign, AIRS is left with many empty cardboard boxes that were used to carry and transport equipment. Instead of throwing cardboard in the trash, AIRS is proposing to donate cardboard boxes from the 2013 campaign to Cards from Africa. Cards from Africa manager, Jean De Dieu Bukuru, says employees learn skills to start their own businesses. “Working with Cards from Africa would be a win-win. The AIRS donation will support the Cards from Africa mission to help orphans earn an income to support their families and it will enable us to dispose of IRS materials in an environmentally sound way,” said Peter Chandonait, senior environmental compliance officer, AIRS. Rachel is a testament to the benefit of a steady income. She used her earnings to pay school fees for younger brother and sister. What she saved, Rachel used it to start her own business raising goats. She started with 5 goats and is now up to 12. With the money she earned at Cards from Africa and raising goats she was able to build her own house. She’s now married and has started her own family. Rachel continues to work at Cards from Africa and has been promoted to supervisor.